When teachers are empowered and inspired in the math classroom, so too are their students. When students have the tools they need to succeed in math, and have their confidence and mindset transformed by a great teacher, the possibilities are limitless. Math Solutions professional learning doesn’t just inspire individual teachers, it transforms the culture of a school. 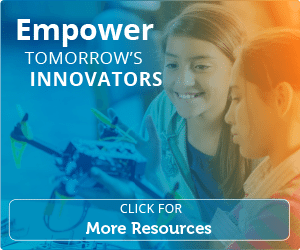 Partner with us to bring a culture of math achievement to your school, and empower tomorrow’s innovators. Download our Instructional Practices Inventory by filling out the adjacent form, or view it, below. Fill out the form below to download our Instructional Practices Inventory. Provides a respectful, safe learning environment in which mistakes are seen as an opportunity to learn. Take an academic risk and rely on their own thinking and the thinking of other students. Structures the class for independent work, pairs, groups, and whole class in a thoughtful and deliberate way. Listen and ask questions to each other to clarify information; respectfully challenge ideas; make conjectures. Asks questions that both build and reveal new understanding of content and practice. Avoids yes/no questions unless they also ask for justification. Explain their reasoning; construct viable arguments and critique the reasoning of others. Makes appropriate tools available and encourages their use. Communicate using appropriate mathematical language both orally and in writing. Work well in a variety of grouping structures. Selects rigorous learning experiences. Persevere in making sense of rigorous problems. Makes learning experiences accessible to all students without compromising the rigor in the problem. Seek out multiple approaches to solving a problem. Expects students to justify their reasoning for all answers, whether correct or incorrect. Use multiple representations when solving problems such as symbols, diagrams, graphs, words, etc. Selects learning experiences that represent a balance of conceptual understanding and procedural fluency. Understand math concepts and use procedures appropriately. Use appropriate tools strategically, including mental calculations, that fit the situation. Understands the expectation of the standard to be taught and its connection to previous standards; aligns the lesson to grade level content and practice standards. Connect their current learning to previously learned standards. Differentiates instruction based on student needs. Use math to contextualize and/or decontextualize problems. Selects problems that provide opportunities for students to contextualize and/or decontextualize. Apply the math they know to solve real-world problems. Selects problems that provide opportunities for students to apply math to real-world situations. Uses data to make instructional decisions based on student need. Take responsibility for their learning by monitoring their progress toward a learning target. Provides feedback to students or structures opportunities for students to provide feedback to each other. Evaluate the reasonableness of their results using feedback from the teacher or a peer. Identifies and communicates the learning target(s) of the lesson. Articulate what they are learning and why. Implements a variety of strategies to monitor student learning.